Featuring hundreds of gourmet coffees from Hawaii, Maui, Moloka'i and more! Perfect companion to the Rancilio Silvia espresso machine. 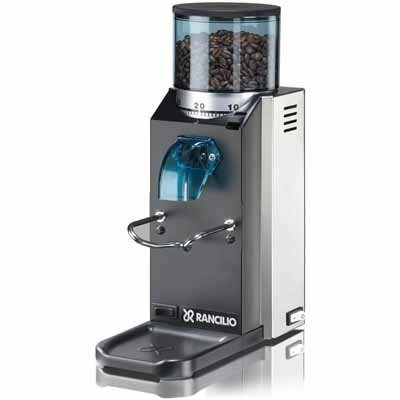 The Rocky SS is a doser burr coffee grinder with 50mm plate grinding burrs found in entry-level commercial grinders. Capable of grinding up to 7.7lbs per hour the Rocky SS will be sure to keep up with your needs. The Rocky SS features a dosing chamber which holds freshly ground coffee. At the pull of a handle, just like the pros, about 7 grams of coffee are dispensed directly into the porta filter. The Rocky SS features a plastic fork to hold your porta filter in place. The motor of the Rocky SS is a 166-watt direct drive motor that is extremely powerful. Spinning at 1725 RPM's. This powerful grinder is quiet during operation. Rocky SS features simple controls. Change the grind setting with a simple unlock of the lever and a quick spin of the bean hopper. It can grind coffee to a fine powder or course grind in seconds. The tinted bean hopper of the Rocky SS keeps just over 1/2 a pound of whole bean coffee fresh and ready to grind on-demand. Perfect companion to the Rancilio Silvia espresso machine. 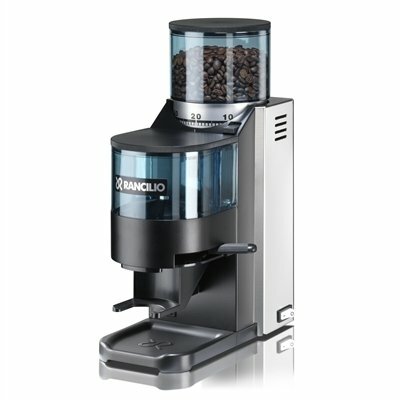 The Rocky SD is burr coffee grinder with 50mm plate grinding burrs found in entry-level commercial grinders. Capable of grinding up to 7.7lbs per hour the Rocky SD will be sure to keep up with your needs. The Rocky SD features a metal removable fork to hold your porta filter in place. Grinds directly into your porta filter. The motor of the Rocky SD is a 166-watt direct drive motor that is extremely powerful. Spinning at 1725 RPM's. This powerful grinder is quiet during operation. Rocky SD features simple controls. Change the grind setting with a simple unlock of the lever and a quick spin of the bean hopper. 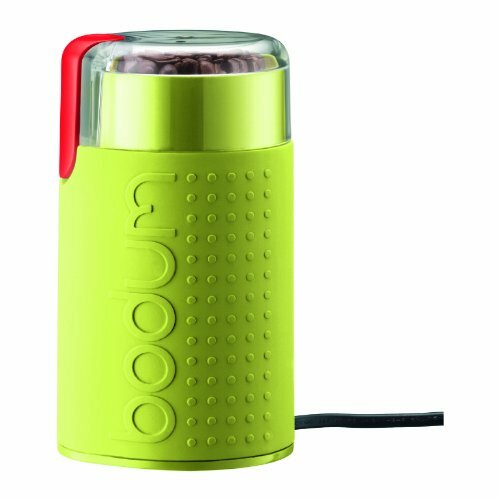 It can grind coffee to a fine powder or course grind in seconds. 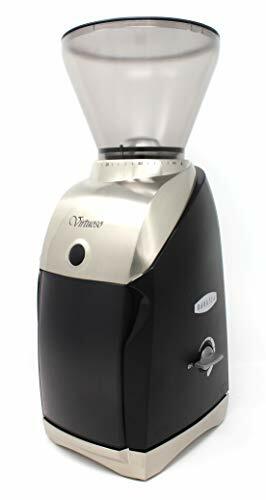 The tinted bean hopper of the Rocky SD keeps just over 1/2 a pound of whole bean coffee fresh and ready to grind on-demand.Each unit is factory tested with real coffee beans and some coffee powder may still be present. What is coffee without the bean? Hot water is what it is. The coffee bean is the fundamental ingredient that needs to be brewed to make coffee. The difference between decent coffee and great coffee is the bean's type of roast and when the bean was ground. Every time you buy fresh coffee beans and ask the checkout person at the coffee shop to grind your beans you are opening up the "flavor cells" and causing your beans to begin losing their flavor rapidly. The purpose of grinding the beans is to create a larger surface area that will release the flavor and oils to the surrounding hot water. If coffee is prematurely exposed to air, it "breathes", leaving less and less flavor for the brew, when the water finally hits the bean. It only takes a few moments to grind your own beans. The difference it makes will surprise you. Burr grinders are said to be the best option for grinding coffee beans. Most Burr grinders include a compartment at the top of the grinder that holds the beans. This is an airtight compartment that will keep the beans fresh until you are ready to grind them. 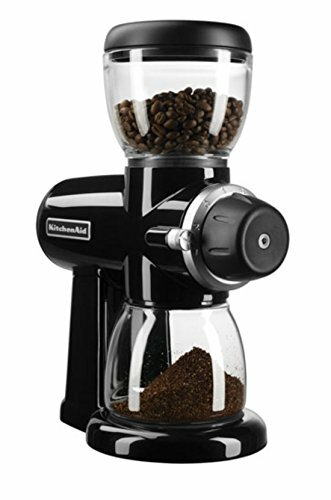 When you are ready to grind, simply select the amount of coffee you'd like to prepare and the Burr grinder will release that amount of beans to be ground. Owning a coffee grinder and grinding coffee beans at your own home will give you the maximum experience of the true joy of coffee. Adding the Kitchenaid Pro Line Series KPCG100 Burr Coffee Mill is a dependable way to assure you're getting great coffee. It's what you deserve every moment you brew and taste a cup. There's more to great coffee than choosing exquisite beans and the right brewing method. Freshly grinding the beans right before they come in contact with hot water makes the difference in taste that real coffee connoisseurs appreciate. The bistro blade grinder is the perfect tool for this. It's small enough to stay put on the counter for easy access and its cable can be stored inside the grinder at the bottom. It's got a transparent lid so the fineness grade can be observed. The longer the grind the finer the powder. This powerful and handy grinder is made from stainless steel, plastic and rubber and it comes in a selection of black, orange, red, green, and white to fit any kitchen counter's color scheme. The bistro grinder can also be used to grind spices and what's. We think it's quite cute. Hawaiian Kona Fancy gourmet coffee, real kona fancy whole bean coffee and specialty varietal gourmet kona coffee from hawaii. 5lb bag, whole bean, regular. With our Hawaiian Coffee of the Month Club, you or your gift recipient can enjoy a new selection each and every month for six months! (8 oz ground) We ship the first month in our signature gift box. All of our roast profiles and flavored coffees are included. Each month we send one of our nine selections of Hawaiian Coffee, freshly roasted. Our Hawaiian Coffee is hand selected from single estate sources and grown and processed in the beautiful Hawaiian Islands. Shipping is via USPS and, of course, all shipping is free. This is an excellent gift for any coffee lover who enjoys trying a selection of coffees throughout the year. In addition, this coffee club assures you that your gift recipient will enjoy your gift for many months. Our bright, full-bodied 100% Hilo coffee, is roasted mildly to retain its fresh essence. Hints of butter and spice are rounded out with floral afternotes. A perfect cup to serve alongside your favorite dessert or morning pastry. New crop in stock! The Verismo® Brewer model 580 - Our lattes. Our espresso. Our brewed coffee. Your home. This single-cup brewing system lets you use specially packaged pods to recreate the Starbucks recipes we use every day in our coffeehouses. 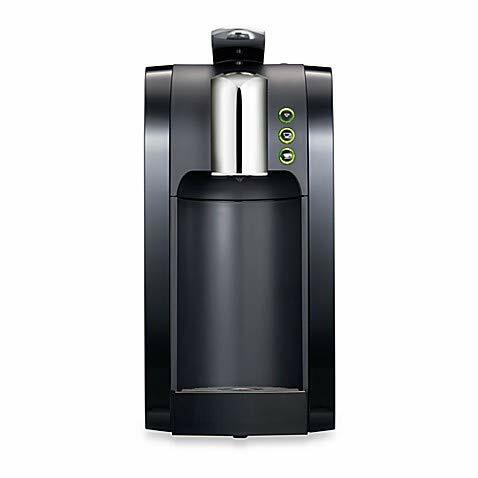 With its 1-liter water tank and storage for up to 10 used pods, it's easy to make plenty of your favorite drinks at home. Enjoy everything from caffè lattes and espresso to brewed coffee. You can also use our all natural milk pods for a rich, creamy hot cup of steamed milk. 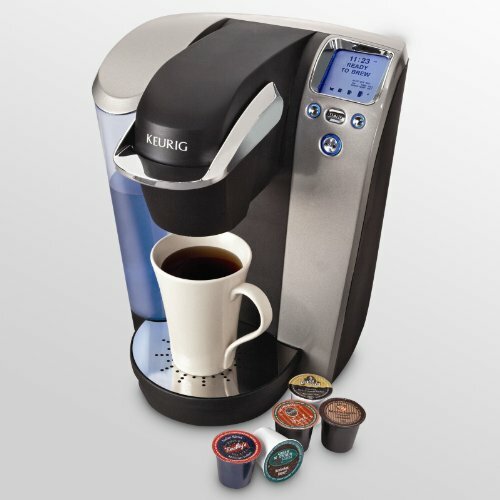 High-pressure brewing system heats up and is ready to make Starbucks-quality beverages in less than 15 seconds. 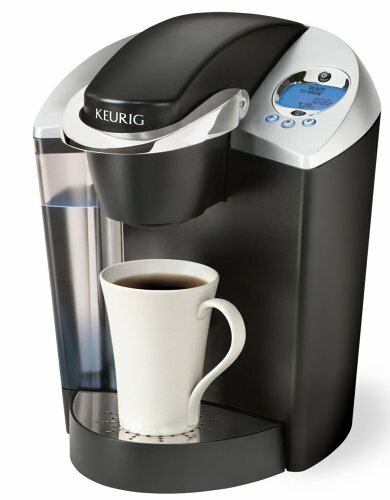 Variable temperature system allows for optimum coffee extraction and milk steaming. Integrated rinse function helps keep machine clean. Height-adjustable drip tray accommodates different sized cups. Auto-off activates after 5 minutes to save energy. Easily removable water tank makes refilling simple. Built-in used pod removal automatically moves up to 10 pods to storage for easy cleanup. Hawaiian Kona X-Fancy Coffee Beans 5LB Bag bulk quantity brews many pots of freshly ground mild and buttery Kona coffee from Kona Premium Estates Coffee Beans. Kona Premium Private Reserve Roast Coffee Beans 5LB Bag bulk quantity prepares many pots of whole bean mild and buttery Kona coffee by Kona Premium Estates Coffee Beans. Inspired by professionals and designed for connoisseurs, KRUPS products have been built with three key attributes in mind: Passion, Precision and Perfection. The KRUPS GX610050 Professional Die Cast Conical Burr Grinder combines an adjustable fineness selector with a built-in quantity control to provide the perfectly tailored cup of joe. Start by choosing from 20 different textures ranging from very fine for espresso machines to very course for use in a French press. Next, determine the number of coffee drinkers and adjust the quantity setting from 2 to 20 cups. As the KRUPS GX610050 grinder begins its work, it uses a burr milling process to produce consistently ground beans while preserving the coffee's natural aroma. 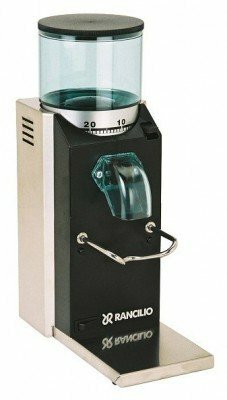 The professional conical burr grinder automatically stops once the designated quantity has been achieved and the coffee extracts easily via a removable container. Topped with a large capacity hopper, the powerful 150-watt KRUPS GX610050 grinder fills effortlessly and provides easy access to its removable burr for cleaning. New York Coffee Hawaiian Kona X-fancy Green Coffee Beans 5lb Bag bulk quantity brews many pots of freshly ground unroasted green coffee from New York Coffee Beans.